Search ad performance can vary greatly across mobile, tablet and computer devices due to a variety of factors, including your business type. “Need right now” businesses like locksmiths may have a higher willingness to pay more for mobile clicks than a business with a longer customer journey like a law firm or enterprise software. These mobile-dependent businesses need bid optimization strategies that reflect which devices bring in the most leads and drive the most sales. Of course, you can make these adjustments manually, but our customers look to us to make their lives easier. 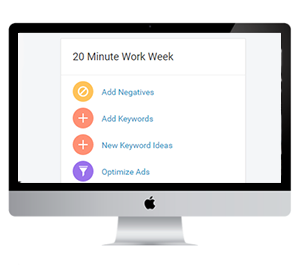 That’s why we built the 20-Minute Work Week, a system of customized alerts that nudge you to make the optimizations with the most potential for impact in your advertising campaigns each week. Today, we’re happy to announce there’s a new alert in the 20-Minute Work Week: the device bid adjustment alert for Google AdWords, which suggests adjustments to your bids across different devices to ensure optimal performance. Now WordStream Advisor users can rely on the intelligence of the 20-Minute Work Week to provide guidance and make device bid adjustments an easy addition to their optimization workflow. On a weekly basis, the Device Bid Adjustment Alert will suggest either an increase or a decrease to a campaign’s base bid for each targeted device (Mobile, Tablet & Computers). The goal here is to drive more traffic (by designating more of your ad budget) to the better performing devices, while decreasing traffic and budget to the poorer performing devices. We optimize toward CPA as the primary metric, and, for those advertisers that don’t capture conversions, we look to CTR. The 20-Minute Work Week will never recommend an action more drastic than a 15% increase or decrease to your current bid, but you can manually adjust your bids for mobile here. Needless to say, device bid adjustments are a great way to optimize campaign performance across devices. So why are so few businesses making use of them? We have lots of device-specific best practices in our toolkit, but employing the advice of the Device Bid Adjustment Alert in the 20-Minute Work Week is one easy way to get started! If you’re a WordStream customer, you’ll find the alert in your 20-Minute dashboard starting this week. If you’re not a customer, you can try it out with a free trial of WordStream Advisor (or, sign up for a demo and we’ll show you everything works). 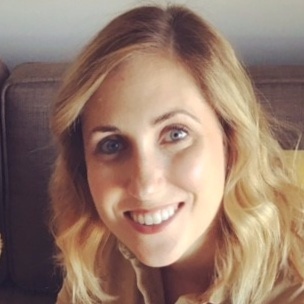 Heather Widman heads up Product Marketing at WordStream. She is a lover of the arts, yacht rock, the ocean and terriers. When she isn’t generating demand, you can find her traversing the city with her dog @WillaTheWelshie.